Sometimes you have a day that brings you little surprises. 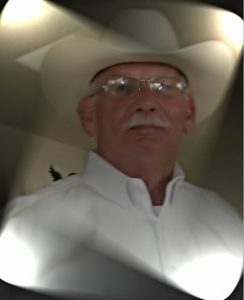 When I called to speak to one of our customers, Joseph Littlejohn, about a boot cover he had ordered, my conversation with him was one of them. First, we talked cars — or shall I say, Joe did. I just listened and learned about the cool little British cars, MGs. Then Joe added in all kinds of little surprises, history and camaraderie which made this Customer Spotlight one to remember. 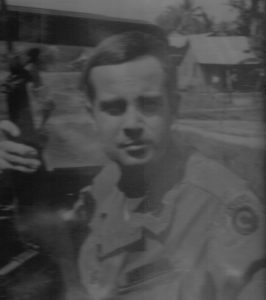 So, first the man: Joseph Littlejohn, retired U.S. Marine Corps. 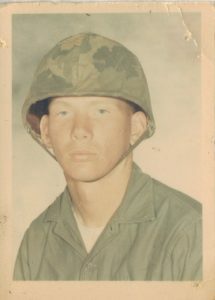 Semper fi (and thank you for your service to our country, Joe!). Loves British cars. Loves restoring old things. Has led an adventurous life and is not about to leave the things he loves behind as he gets older. 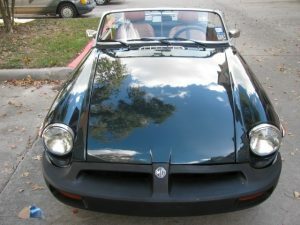 Now, the car: “Lil Bit”, a 1976 MGB. The year the MG model changed due to government regulations. According to Joe, this was the year the MG “went to pot” and when he said this was the model year he owned, it made me laugh. 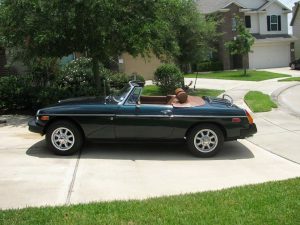 However, to him the remedy was to overhaul everything to get the MGB back, to make it more similar to previous model years. Thus, the project: clean, restore or replace practically everything. Joe took to work on the mechanical and electrical systems and poured over every inch of the vehicle. He said that you don’t restore a car to make money, because he has way more in his MG then he can get back out of it, but that you do it for the love of the process and the the end result. 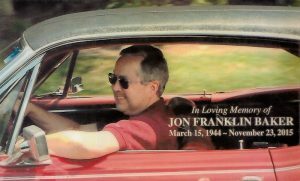 For Joe, the restoration of his MG also gave him one of the best friends of his entire life: Jon Baker, retired VP at Ford, who took over ownership of the MGB for a couple years to restore the interior. Joe and Jon forged a great friendship initially talking about the car, but then learning that they were both Vietnam veterans with a lot in common. Jon was even awarded a Bronze Star for heroic actions in combat and the two became like brothers. The bond between Joe, Jon and “their” MG was so strong that after Jon’s death last year, his wife had Lil Bit shipped from Michigan back to Texas because it wasn’t right if anyone owned her besides Joe or Jon. They did a great job and it’s easy to see why MG’s were such a popular car. Joe joked that with the exception of the MGC V8 roadster, that none of them were very fast. They were (and still are) the perfect cruising car for country roads and looking good while driving them. He said that he always gets compliments when he drives it and it’s especially popular with younger generations. This stuff (the man, the car, the story, the feedback) is what the folks at TopsOnline live for. It’s always great to see how things like working on a car can bring people together and bring joy into our lives. Thanks for sharing your story with us, Joe! Oorah! When Joe finally needs a new convertible top he said he was absolutely coming back to TopsOnline for the purchase. 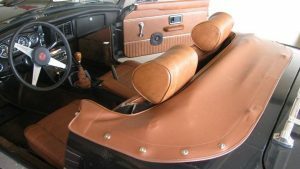 We offer convertible tops, boot covers and tonneau covers for all the MG models and have a wide selection of factory original colors and materials. If you’re in the market for a convertible top, seat covers, boot cover or more (we are adding new products weekly), we hope that www.topsonline.com can earn your business. 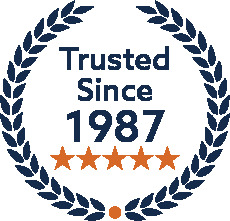 Give us a call if we can be of help with your restoration project. And definitely send us pictures of your project before and after because it’s great to see the big picture and celebrate your success.